The Bullet Catcher’s Daughter, the first part in Rod Duncan’s series of steampunk novels, The Fall of the Gas-Lit Empire, was launched in Leicester on Thursday 18th September at the Writers’ Club. Rod, who is a member of the Club and has had 3 crime novels and a novella published, gave a talk and readings from the book, and Marc Gascoigne, the Managing Director of Rod’s publisher, Angry Robot, also gave a talk and answered questions. 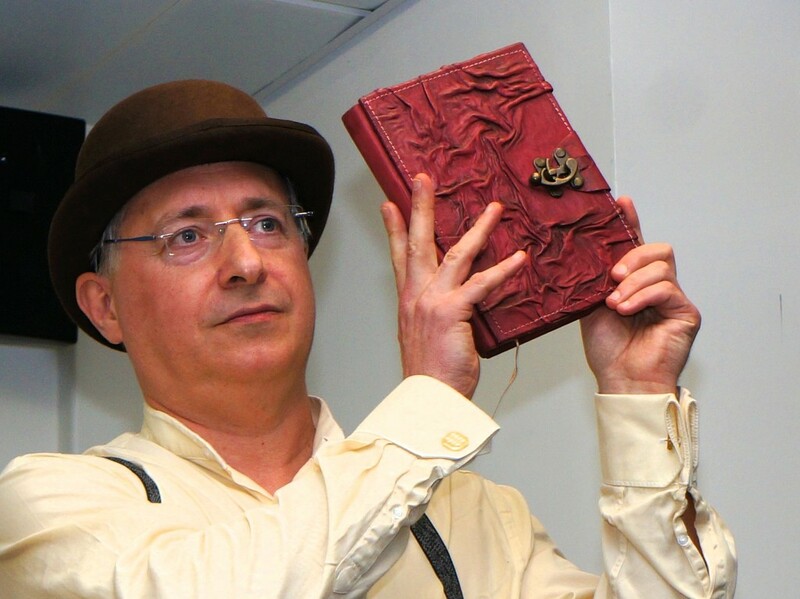 The event was open to visitors and there were about 80 attendees, many of whom entered into the spirit of the book by wearing appropriately Victorian and steampunk clothing. Members of the Club who normally wear jeans and tees suddenly sported goggles, corsets and top hats! Marc told us how Angry Robot started. It was founded in 2008, when Marc who had been publishing Games Workshop’s Black Library, was asked by HarperCollins to publish a range of experimental fiction. 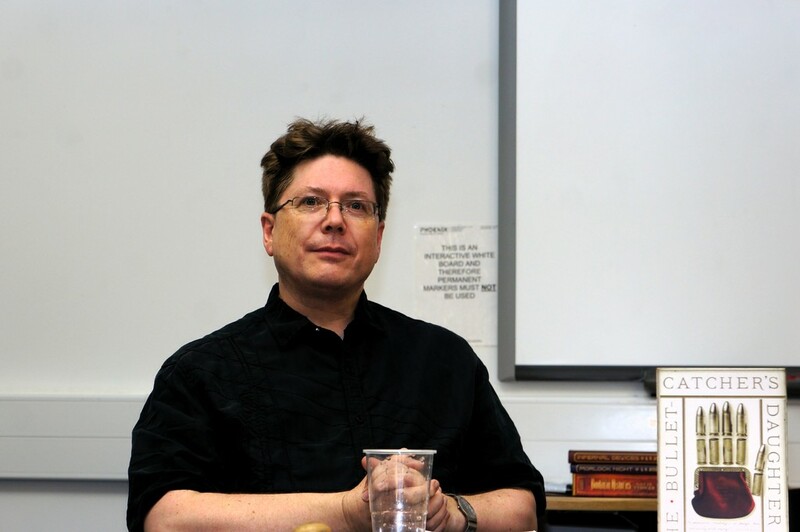 In 2009, he took over the firm in partnership with Osprey Publishing. His mission was to talk to his readers, find out what they wanted, and embrace their ‘inner anorak’. It is now a successful publisher of fantasy and science fiction, some prize-winning. Marc said that the contemporary world is a sci-fi one. Films, TV, videos, graphic art, even literary novels are influenced by it. But we’ve also entered a time of crossover books where Jane Austen characters and zombies can appear in the same novel. Steampunk is a kind of crossover/‘mashed-up form’, mixing the genres of sci-fi and scientific speculation with fantasy, alternative history, adventure, and Victoriana. KW Jeter, the author who invented the term in the late 1980s, intended it as a tongue-in-cheek reaction to a movement called ‘cyberpunk’. Now, much more than an underground ‘geek’ movement, it has become mainstream and even a fashion term: Marc quoted that steampunk was born when goths discovered brown, and if you search for steampunk brooches in Google you will find more than 4,000 pages of them! 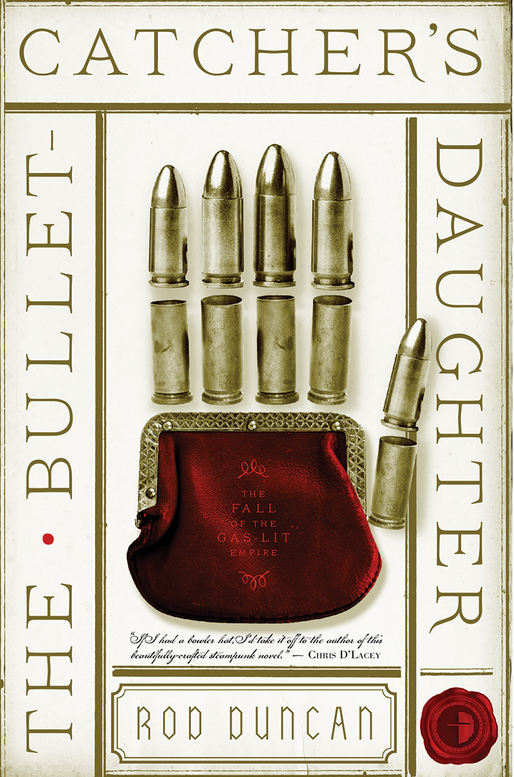 The Bullet Catcher’s Daughter, Marc continued, might be described as ‘steampunk’. It is steam-powered Victoriana, fantasy and alternative history, but most of all, it’s driven by the main character, Elizabeth Barnabus, and her adventures. He described it as ‘a book for everyone’. Our President, Lindsay Waller-Wilkinson, said she’d read Rod’s book in 2 days. She loved the danger, excitement, invention, the inclusion of Leicester, and she loved the main character, Elizabeth. She related to the human and political issues, including the role of women and minorities, and thought these issues were very contemporary. Rod recounted how the book started as a media project in which Leicester is a Victorian-type fantasy world. A Luddite revolution has made it a town intersected by a border between two states: smuggling is rife and policing difficult. This became a short story. A young man goes through Leicester’s gaslit narrow streets to meet a client in a coffee shop. The client is an aristocratic lady who has crossed the border. That was the plan, but as he wrote the story, he was surprised to find that the young man whipped off his disguise and became a woman! Elizabeth Barnabus and the novel were born. Elizabeth leads a double life, by trade a magician in a travelling circus, by necessity (in male disguise), a private detective. She thinks she is an insignificant part of society, an outsider, but her adventures will be mixed with the end of an age, the age of the Gas-Lit Empire. Rod read superbly a dramatic passage from the book just after Elizabeth has taken off her disguise in the coffee shop and she is faced with an interrogator. Rod revealed that he had that day completed Unseemly Science, the sequel to The Bullet Catcher’s Daughter. 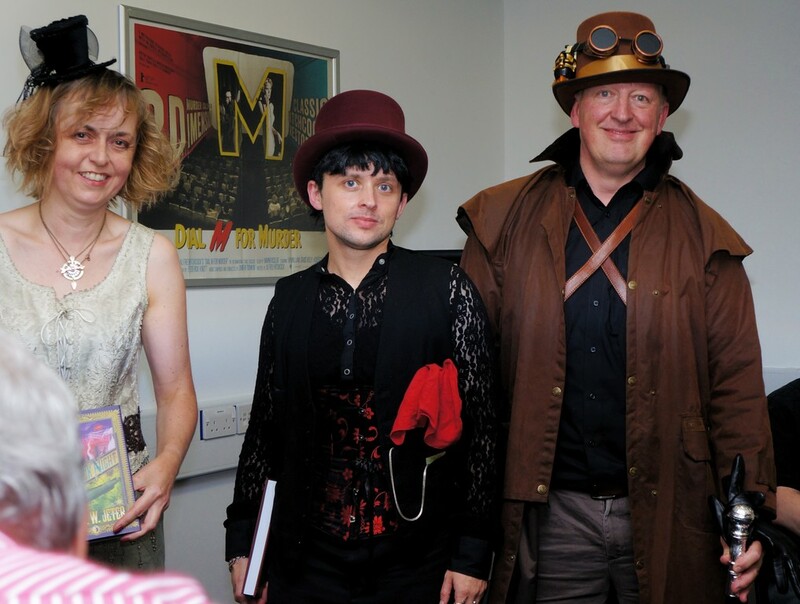 During a break for refreshments and book-signing, Lindsay judged the steampunk costumes worn by many of the audience, and Marc awarded steampunk books, including imprints of KW Jeter’s, to the prizewinners. In a Question and Answer session, Marc said that writers needed to have a social media profile nowadays. The writer must ‘engage’ in his genre ‘community’, and also needed somewhere e.g. a website to answer readers’ questions. The publishing house couldn’t do all the publicity anymore. In answer to a question about the dominance of Amazon and e-books, he thought that we were in a time of ‘transition’, but physical books would never go out of existence. On the subject of writing alternative histories and whether they were overtly moralising, Rod said that his novel is about issues, such as how much state control is good, but it was up to the reader to make a decision on the answer. Marc thought that the best SF and fantasy related to issues now. Lindsay thanked Rod and Mark for a lively and interesting evening, and hoped we would all go off and read The Bullet Catcher’s Daughter and recommend it to our friends.